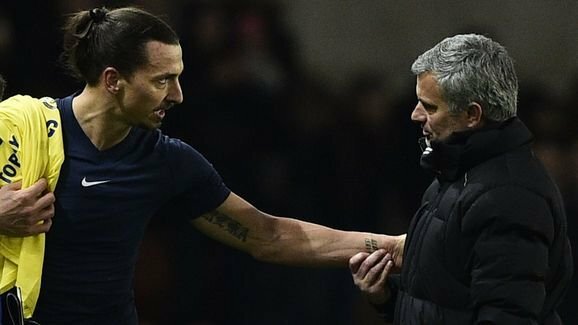 Manchester United's signing of Zlatan Ibrahimovic is expected to be completed ahead of the upcoming European Championships later this month, with the Swede hopeful of flying to the UK to complete the move shortly, according to the ​Mirror. The 34-year-old is a free agent after his contract with Ligue 1 champions Paris Saint-Germain expired, and he is anxious to team up with his much-respected former Inter Milan manager Jose Mourinho who took up the reigns at Old Trafford last week. The pair are said to be close and Mourinho is desperate to bolster his squad ahead of next season's title charge, and will be buoyed by the prospect of overcoming his cross-city rival Pep Guardiola at Manchester City. Ibrahimovic, who also played under Guardiola at Barcelona, is at present on international duty in Stockholm, but will be given a brief exemption to fly to England to complete his transfer. The prospective deal is considered a significant coup for United, such is the former Ajax's regard across Europe. The lack of a transfer fee will offset his considerable wage, said to be around £300,000-a-week and the deal may also include the option of an additional year. "I'm still not interested in the Allsvenskan (Swedish league). I'm too good for the Allsvenskan."